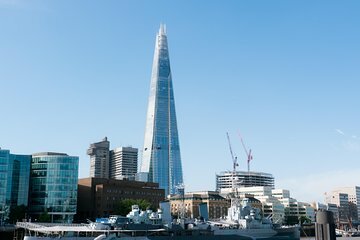 Combine a ticket to The View from The Shard with a sightseeing cruise on the River Thames. You’ll see major London landmarks such as Tower Bridge and London Eye from these popular attractions. Gain admission to the city’s highest viewing platform atop the tallest building in Western Europe. Then use your 24-hour pass for a hop-on, hop-off the river cruise departing from four piers.